You are currently browsing the tag archive for the ‘Cross-training’ tag. Dang! Is my dreaded plantar fasciitis back? I was noticing pain in the ball of my foot. Now it’s in the heel. Seems familiar. Dang! I love to run! 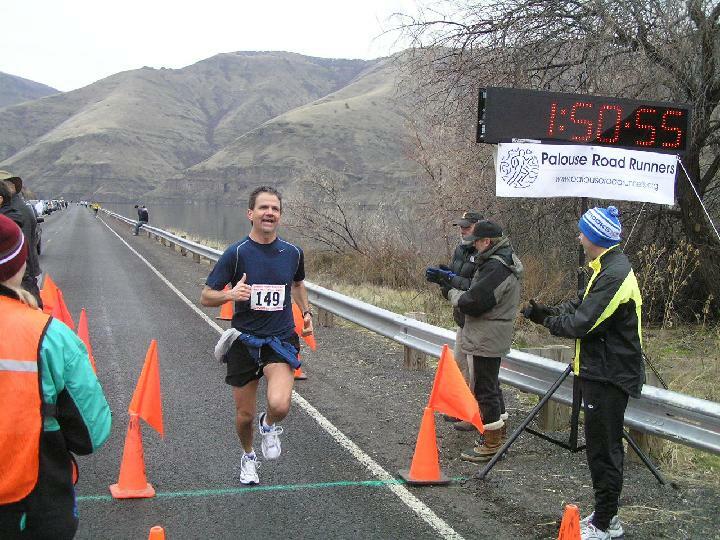 I committed to teammates to run in a 100k relay (http://www.palouseroadrunners.org/RunningRoutes/WSU-100kMap.htm) in a couple of weeks. I’ve planned to run Bloomsday (http://www.bloomsdayrun.org/) with Annie (http://fitnessaficionada.wordpress.com/) also; it’s really a fun and challenging experience. Can I hop on one foot for 7.46 miles? Am I now eligible for the wheelchair division? Perhaps Annie will push me in a stroller? I’m guessing not, for some reason. Is this self-pity? Am I spoiled? Hey, I recently heard about the local woman who qualified for the Boston Marathon: she became injured and is doing all cross training before her big race. No running, just swimming and other things to stay in shape. I could do jaw crunches! It’ll put those dark chocolate covered fruits from Costco to good use! I really should get some credit for those arm curls too, lifting those healthy nuggets to my strenuously exercising mouth. Hey! Maybe saliva is really just jaw muscle sweat! Yes, this plan is truly coming together. I could mix in yoga poses; I’m adept at “corpse” and my personally adapted specialty, “lazy dog.” I could also “run” a bath, “lift” a huge cup of coffee and “stretch” my mind with some new movies. I can’t wait to see how much my metabolism rises!